The Saturday morning dawned with a bit of rain. Apparently people had not been active at the OH2YOTA station late in the night because they started to gather at the main building way before the official wake-up call. 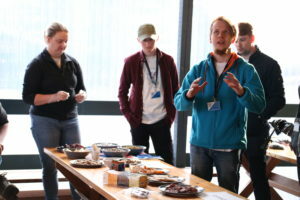 We got a nice breakfast, a combination of traditional Finnish porridge and leftovers from the intercultural evening last night. Did you know that you can use the Norwegian Geitost as a topping to oatmeal porridge? Today was the first day of real action. 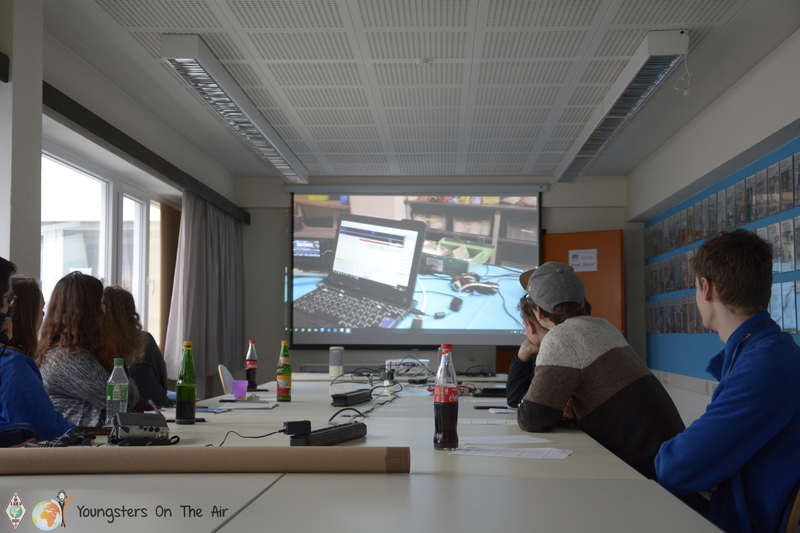 We started with two lectures about different ways of spending time outdoors with a radio: ARDF and OHFF. 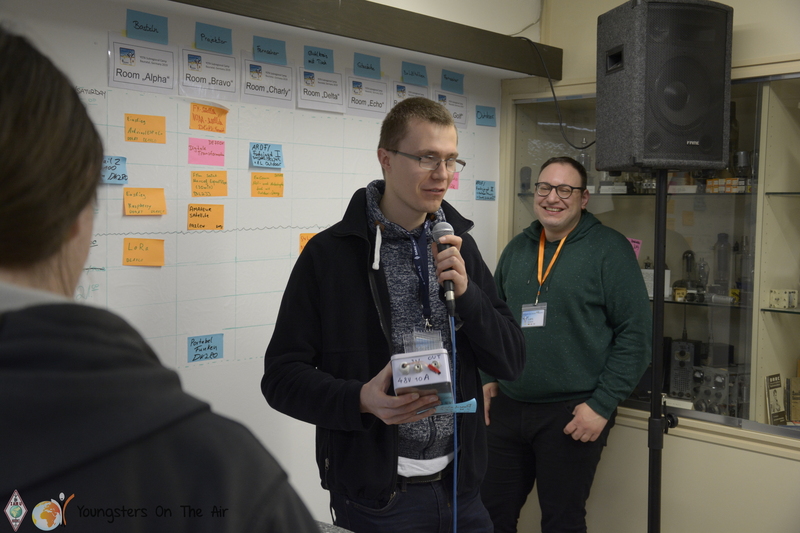 Keijo, OH2ETM, introduced us to ARDF, amateur radio direction finding, or casually: radio orienteering, or even more casually: fox hunting. 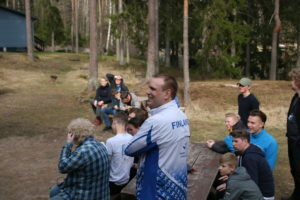 Keijo was wearing the official Finnish team outfit from a world championship competition where he represented Finland. 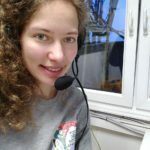 Anu, OH6ME, had prepared an introduction to OHFF, or how to activate nature sites on radio. 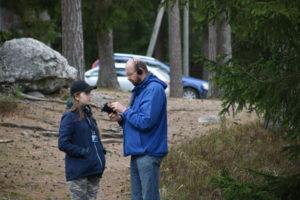 OHFF would be on schedule tomorrow, but today we had a chance to try radio orienteering. 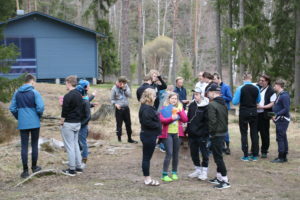 So after lunch everyone stuffed their pant legs into their socks (tick prevention action) and headed for the forest, to find the ‘foxes’ Keijo had planted there. 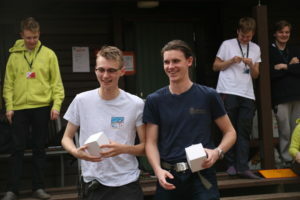 Some guys had changed to real orienteering equipment, and they were the first to finish the track, too. 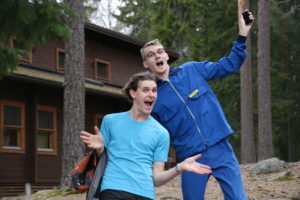 The sweaty Swedes emerged from the forest, asking first for coffee and then for sauna. Others took it a bit more easy, a nice walk in the forest. Every night ends with a relaxing sauna, and today we got to enjoy barbecue Makkara = sausage as well. Too bad the morning rain was not heavy enough to put an end to the grass fire warning, and we were not able to have a full experience of open-fire barbecue. Safety first, and so we used gas to burn the sausages. 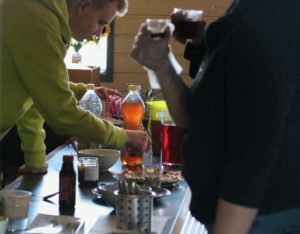 Fun fact: In Finland (at least some parts of it) the mustard types are graded HF, VHF, UHF, and SHF, depending on the intensity of the taste! 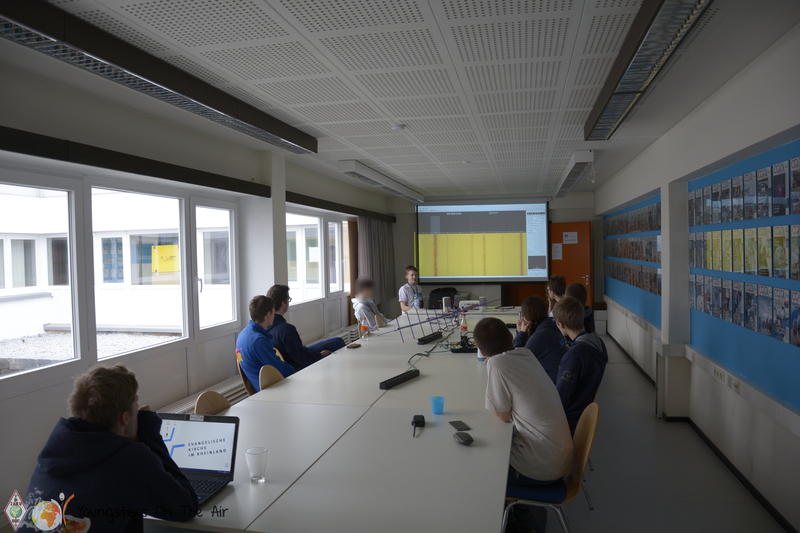 This morning the Swedish NOTA team woke up in Åbo after a night spent on the ferry. 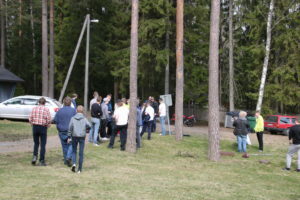 After a short breakfast on a restaurant we all stuffed ourselves into the cars and went to Salo. 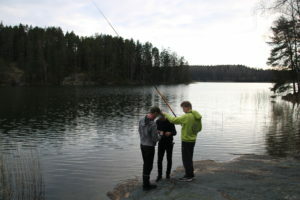 After about 40 min (plus minus some navigation errors) we arrived in Leirisalo where the camp is held. 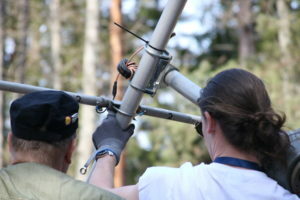 After arrival, we started mounting the Yagi-antenna and we got it half way up before lunch. The lunch (a nice tasting soup) was extra nice tasting due to us being tired and hungry and because of the very good company. The tower work continued after lunch, but we still had a lot to do when the last bunch of people arrived by a charter bus. 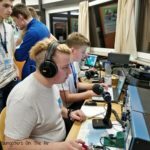 It is amazing what the Finnish radio amateurs can do! 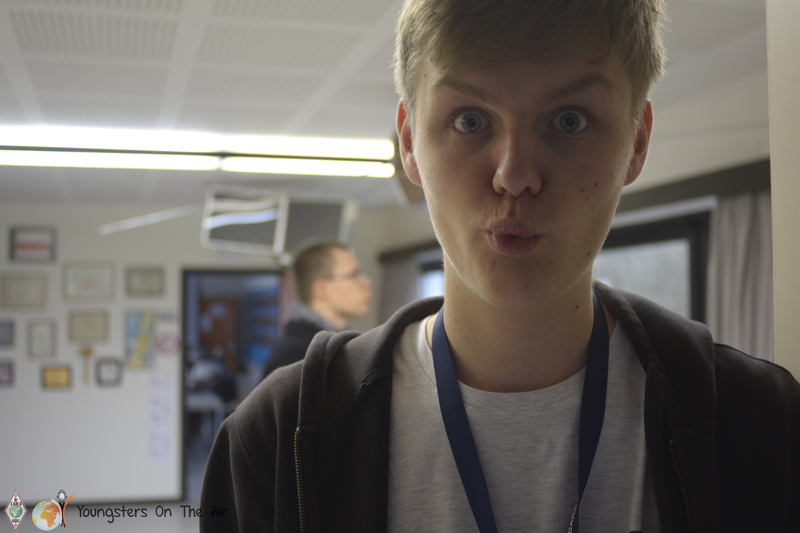 We found out that everyone participating and organising the camp was a licensed amateur radio operator, from the cook to the bus driver. 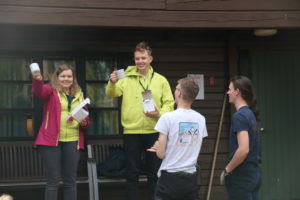 The Finnish youth team had done a great work in recruiting help for the camp. 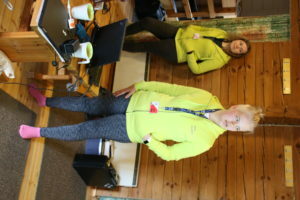 The camp site, Leirisalo, comprises a main building, sleeping quarters, summer kitchen with cold eating facilities, and a sauna. 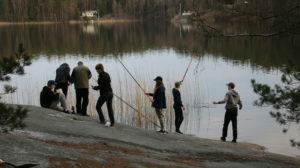 The youth team had even delivered a lake next to the sauna, WOW. We were warned of snakes and mosquitoes, the former being poisonous but luckily the latter being the more probable ones to attack us. The place is surrounded by forest on one side and the lake on the other side. 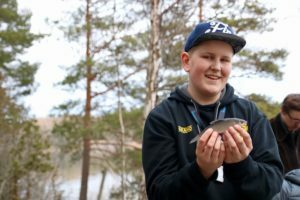 Today, the Finnish weather struck us really warm and pleasing, and we are hoping for it to continue so for the whole weekend. We will be QRV on most short-wave bands during the weekend and we try to activate most modes as well. We hope to hear you on the bands! Also on Sundays it started again at 8 o’clock with breakfast. 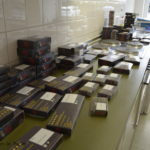 Since this also meant the last day, the last things were packed into the suitcase, checked out at the hotel and then it was the last time to the amateur radio centre. 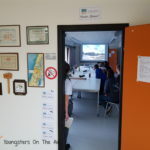 Arrived here, the Saturday afternoon was continued: three timeslots were offered for further workshops, groups, conversations and handicrafts, whereby one had partly also opportunity to catch up missed workshops from the previous day. 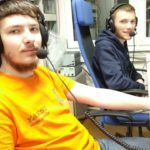 The offer was again fully exploited and there was still a lot of radio transmission in the tower as DF0YOTA. 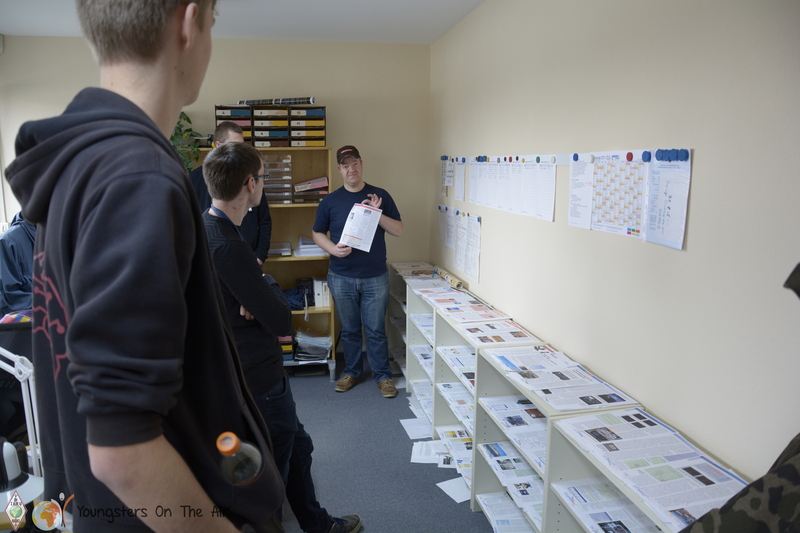 Before lunch, there was a joint final round in which many of the self-organised programme items were summarised. 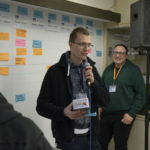 Thus one could be shown once again how diverse the contributions of the young people were in the self-organized Barcamp style. Afterwards everyone had the opportunity to anonymously write down their thoughts about the Subregional Camp in Baunatal. 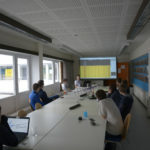 With the help of a divided feedback wall all participants, but also the Orga, could be told again what was on their hearts. This possibility was well accepted and subsequently read aloud. 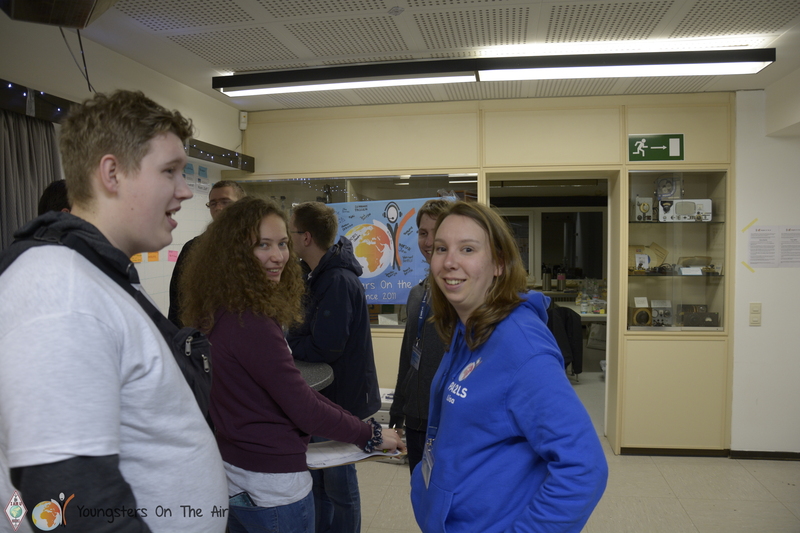 The three participants, who had received their DE callsign the evening before, of course received their certificates! 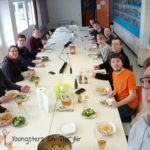 For lunch there were delicious homemade cheese noodles, which were completely taken over by some participants and everything was organized by themselves! Afterwards it was time to say goodbye to the first ones, who unfortunately had to go home. 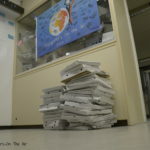 But some could still stay and help to clean up. 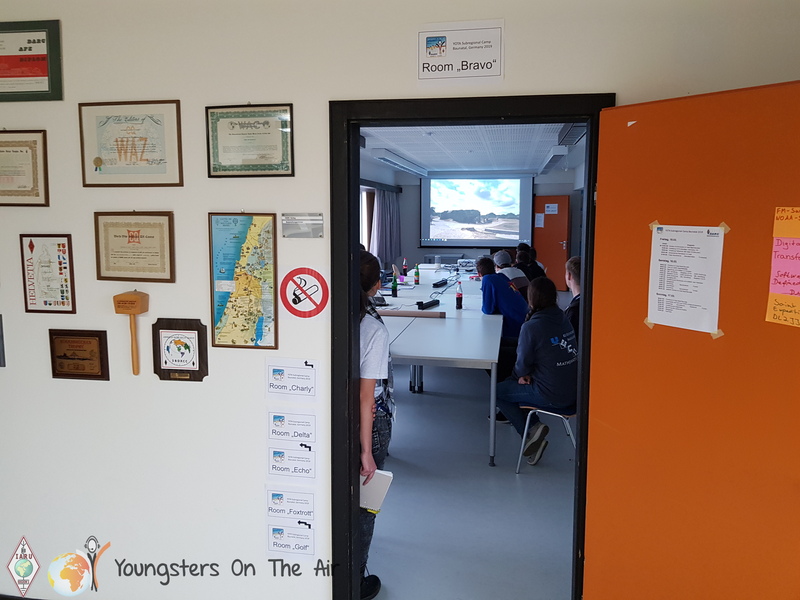 After the last things had been tidied up, the supervisors handed over the YOTA flag signed by all 60 participants to the DARC management on behalf of the youngsters. More reports and pictures will follow in the next few days, so be curious. After a long day yesterday, the second day started early again. 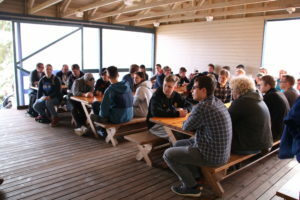 From 8 a.m. onwards all participants were present at breakfast in the hotel. Everyone strengthened themselves for the long day ahead. 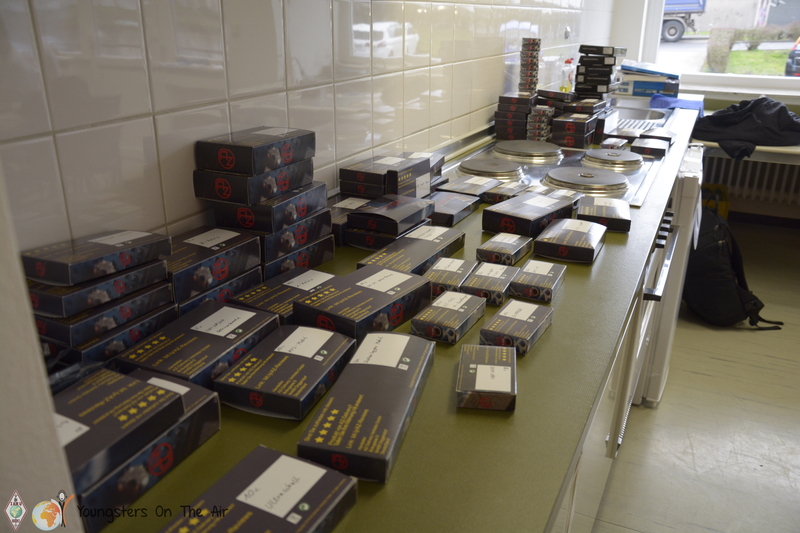 Afterwards the whole group went to the DARC Headquarters. There we were already friendly expected. 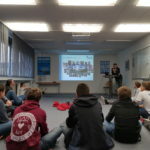 At the beginning three groups were divided which visited alternately the CQDL editor-in-chief Stefan (DH5FFL), the chief of the QSL sorting Dietmar (DL1ZAX) and in representation for the DARC management the DARC youth coordinator Gerrit (DH8GHH) and punched with questions to the respective topic areas. 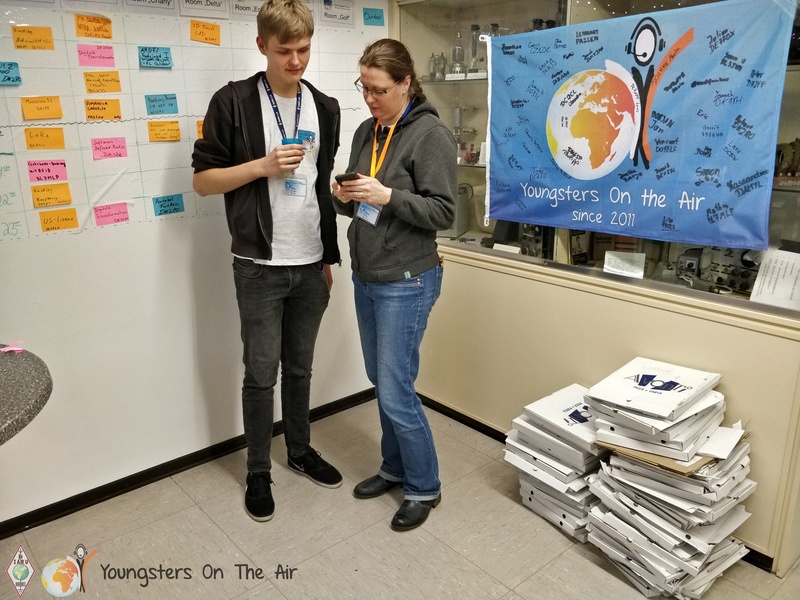 Thus the process of the CQDL – from the first contribution idea up to the finished CQDL -, the way of the QSL cards from our home QTH over Baunatal up to the receiver and the individual coworkers and their tasks in the DARC were presented. 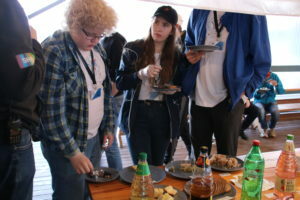 After the question hours were over, we returned to the entrance area for a leisurely lunch. 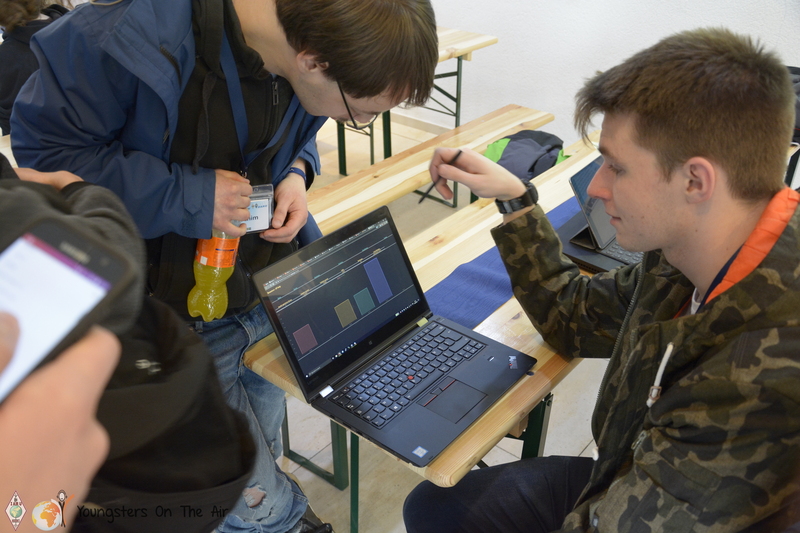 Participant Mathis (DL7MLP) programmed his own booking system for beverages with RFID chip cards – alias the camp name badges – and tried it out directly. 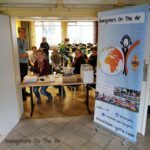 Afterwards we went next door to the amateur radio centre, where we continued directly with a short guided tour through the camp rooms Alpha, Bravo, Charly, Delta, Echo, Foxtrott and Golf, as well as through the radio tower. The rest of the day was explained afterwards. 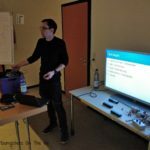 First, everyone who had offered a workshop should briefly introduce the content and find a suitable time slot and room for it. At the end a well filled program on the whiteboard resulted, so that everyone could get an individual overview, when the points of interest for everyone took place. At the same time DFØYOTA was activated from the tower. 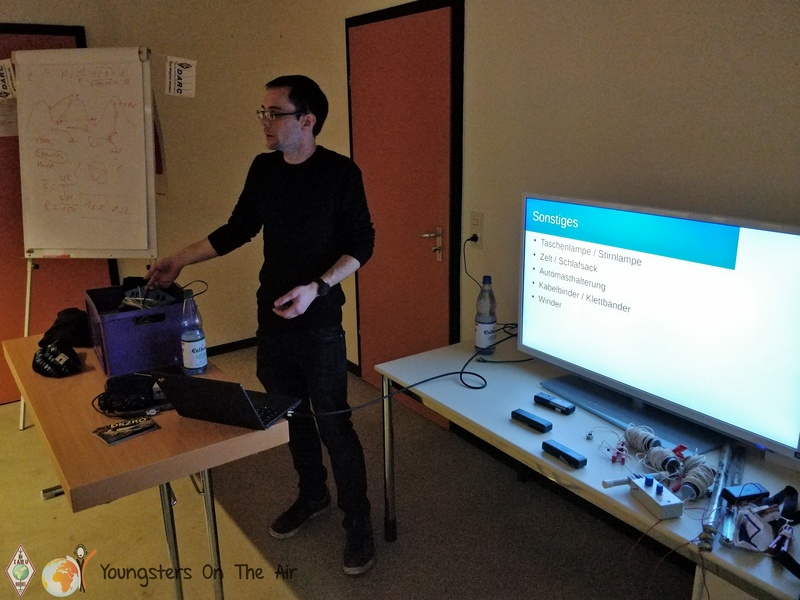 So there was a lot of radio work, SDRs were examined, Raspberry Pis were programmed, satellite QSOs were explained and done, DXPediton experiences were exchanged, lectures were held, (ARDF) foxes were hunted and much more! Everybody just had something to do and it definitely didn’t get boring. 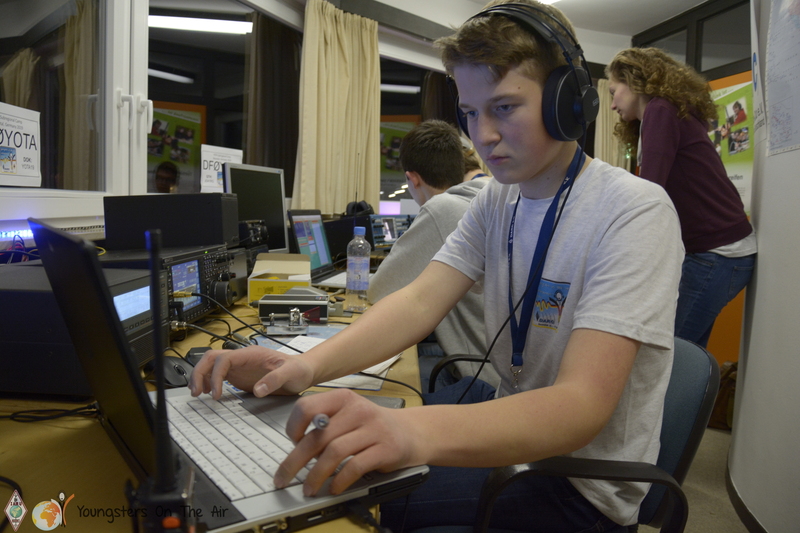 Due to the flexible programe everyone could pursue their own interests in amateur radio. 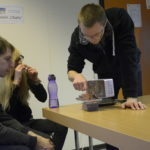 The positive side effect was also that during the course of the day almost every one of the 60 participants talked to each other and got to know each other better. 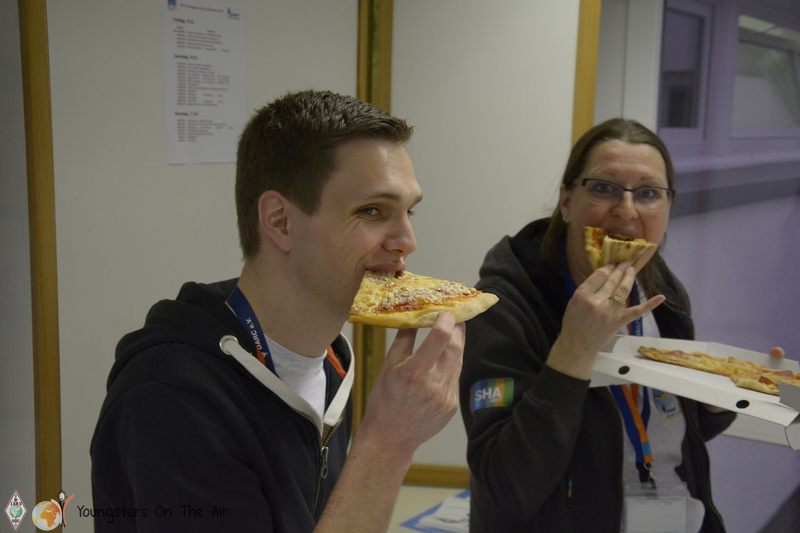 Pizzas were delivered to the amateur radio centre just in time for dinner afterwards. So every youngster found something to his/her taste. Moreover, the evening continued freshly fortified and we let the day pass in review together. Everyone returned to the hotel with a smile on their faces. 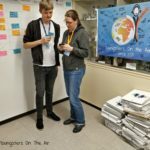 Unfortunately the departure from the YOTA Subregional Camp is scheduled for tomorrow … but more in the next report. 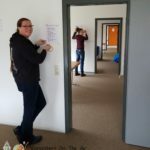 While everything was ready to welcome the arriving participants at the Hotel Stadt Baunatal , the last preparations were still in progress at the headquarter. In the course of the afternoon, the youngsters gradually arrived. After they checked in, the prepared hall filled up. 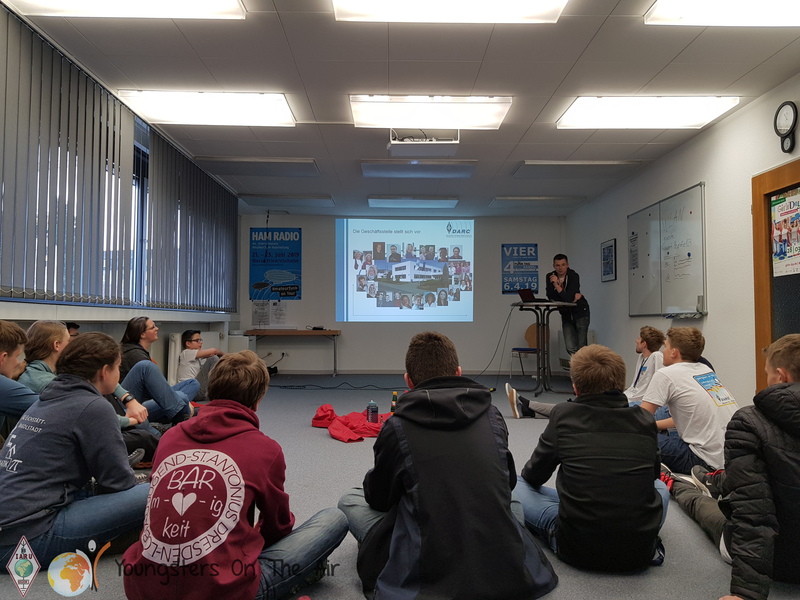 After a short greeting of the participants, the YOTA program of the IARU R1 was presented – after all, the subregional camp is also a part of it! 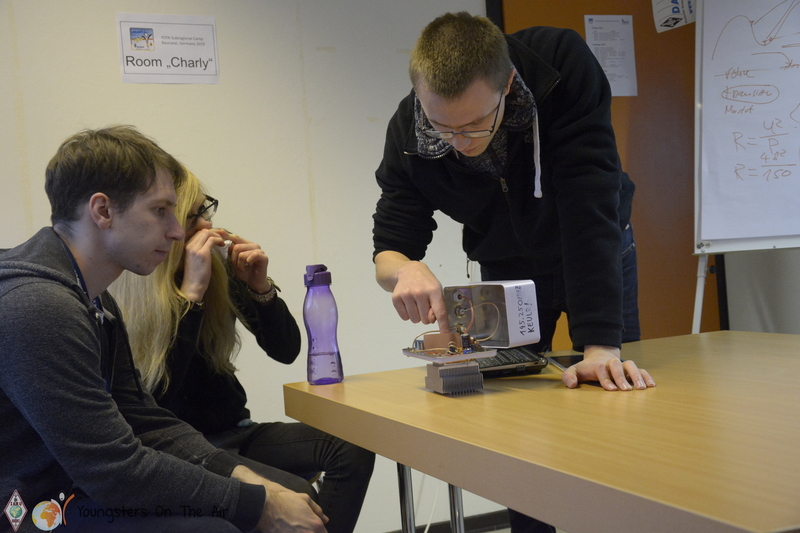 After further organizational hints, there was a small introduction round; this made it easier to learn the names. Afterwards there was enough time to get to know each other during dinner. 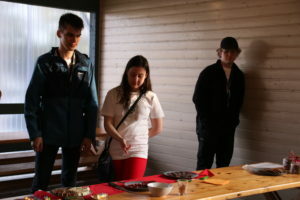 After the last participants had arrived during the evening, the intercultural evening took place – as it is the tradition at every YOTA camp. All participants had brought something special from their own region. The most creative things were presented and the most diverse stories told. This was a good opportunity to get to know each other. Afterwards the young people let the evening end together. 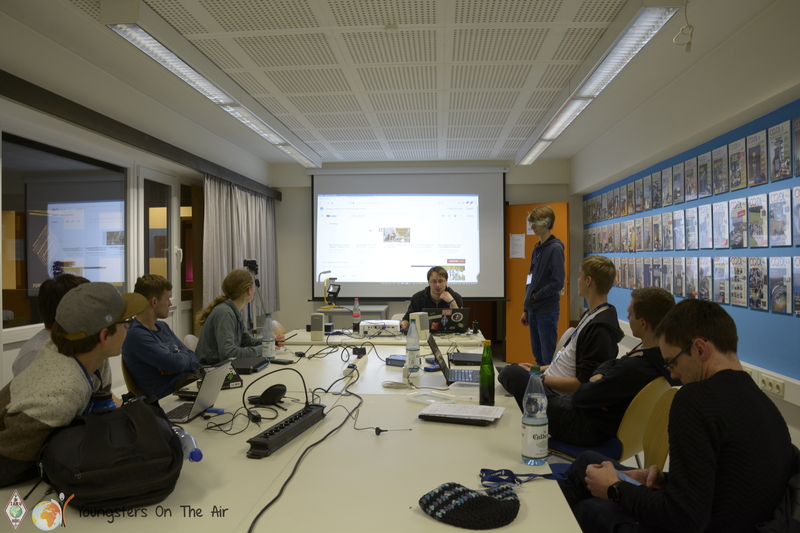 Tomorrow we will continue with workshops and radio operation as DF0YOTA from the tower of the DARC headquarter. 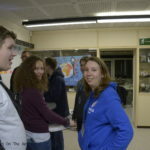 At the beginning of February, I saw that LX7I will host the YCP for the ARRL DX SSB. I immediately applied after checking transportation. 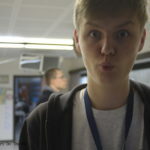 Three weeks after I was notified that I had been selected to be one of the youngsters to go to LX land. 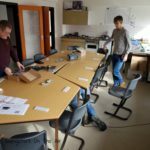 We all arrived on Friday afternoon and after a first get-together, we start to get sorted in the shack. 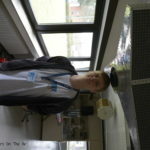 For this experience I met the other team members: HA8RT, DK4EE, DL8GM, DC2CL or Tomi, Louis, Markus and Claudia. 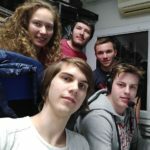 It was a really good time with them at the station, sharing experiences, discussing the hobby in our own respective countries and enjoying simple off-air time or pile-up time. As expected from a Multi-one, Multi-two and Multi-Multi (all in one HI), LX7I station is well organized, the antenna dispatch system is great. The 22 antennas on the 6 towers, full sized beams, stacked beams, fixed or not, dipoles, verticals, (plus the RX beverages) were awesome for me. 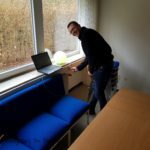 As a fan of large antennas, stacking methods, performance comparison, speaking with LX2A Phillipe, the owner of the station, was a great pleasure. It was also very interesting to see the background of a big gun station and its evolution. It was not my first experience in contesting, but there have been lots of first times @LX7I for me: my first radio operation outside F land as LX/F4HWS, my first ARRL DX SSB, my first time operating monobander Yagi on 40 and stacks on upper bands and my first time in M2 category. 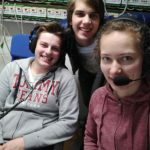 I love the feeling of challenge operation though the friendship relation that you can create on the air and in the shack of course! 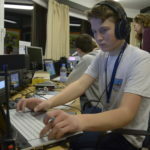 The best memories of this WE in LX was the arrival with the meeting of everyone, the warming up session with good pile up from LX/F4HWS, LX/DK3EE, LX/DC2CL, the off times with the group, and the last minutes of the contest at night, fingers crossed, with all the team in the shack, behind Tomi on 80M and Louis on 160M fighting for our last QSO: a new multiplier on the top band! 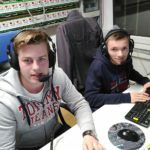 Finally, competition with ED1R, E7DX and LZ5R was intense and excitement has increased with the live score sharing web site, “cqcontest.net”. I think that every youngster of the YOTA group who is interested by this type of event or contests should definitely apply. 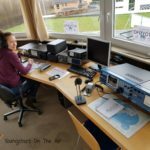 This is a great opportunity to operate big stations, get more experience with ham radio, meet great people, contesters, and friends, and finally to have fun in what they like. Thanks to everyone, see you for the next one. LX7I YCP Team, Tom F4HWS. 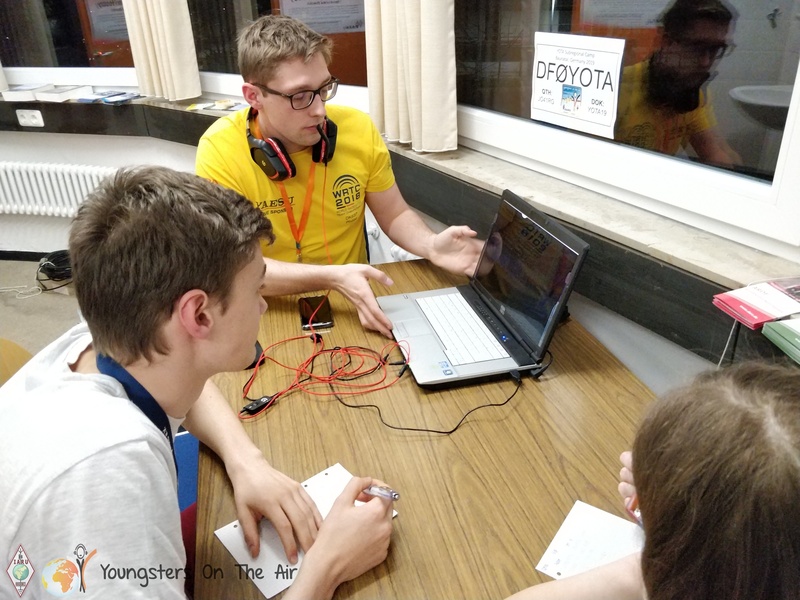 At the beginning of 2019 the Youngsters in Austria were working together on some international YOTA projects, for example the YOTA online shop where you can buy clothes and accessories with YOTA branding. 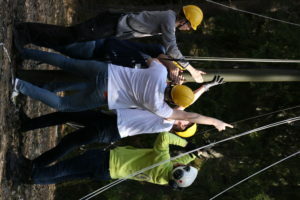 Of course the profits go to support YOTA projects such as the summer camp. Furthermore we were meeting to plan events in the summer months. Most of our plans are for the summer holiday period for 2 reasons. Firstly the weather makes outdoor activities much more enjoyable so it is possible to organise camping trips and field days for example. 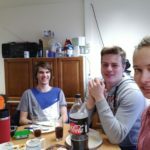 Furthermore most youngsters are still at school or university so in the holidays they have time and are not worrying about exams and the like. We have some big plans, however we can’t talk about them just yet. 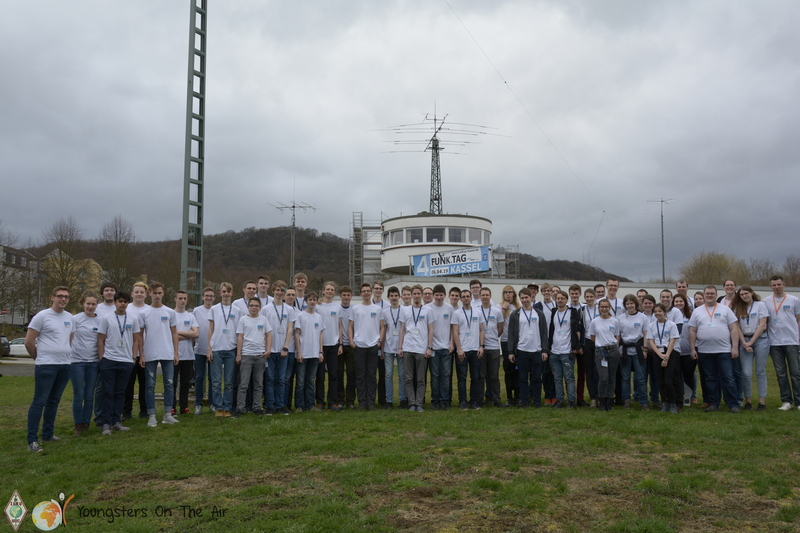 Furthermore some of the youngsters were preparing for future contest operations by acquiring new masts for the contest station oe1w where there are always many youngsters helping out building the station and operating. 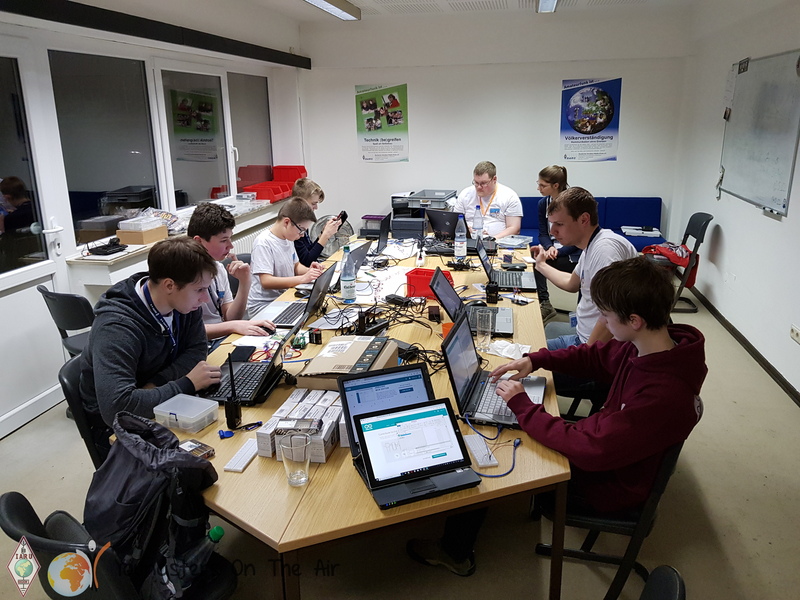 Another activity which we are preparing and which will happen soon is the expansion of the antenna system in the Austrian club’s headquarter station. 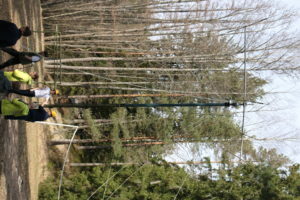 A 12 metre Hummel mast and a 4 square will be added to the station soon. 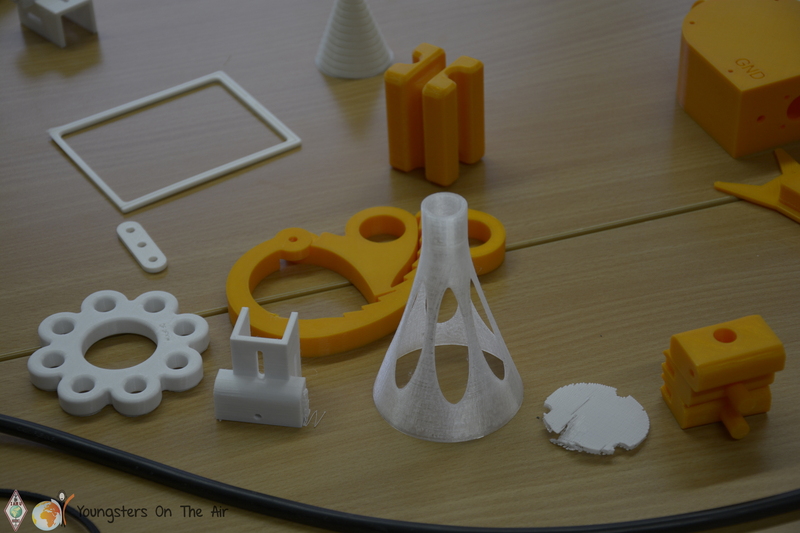 Most of the construction, mounting antennas etc. is done by youngsters. It’s always a fun day of working together on such projects. 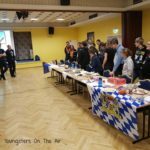 These kind of get togethers are also the perfect opportunity to introduce new youngsters to the community and to show them the kind of fun things that we do. What are we working with right now? 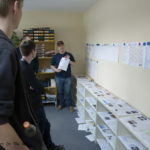 Right now we are planning the trip to NOTA in april (which we are looking forward to a lot!) while trying to recruit as many people as possible to join. 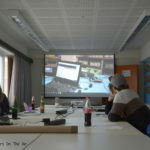 We have also started planning for the autumn events via meeting over skype. 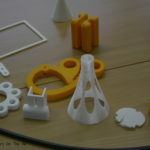 For youngsters to develop more fun ideas to bring back home to our activities. A smaller follow up event to meet our NOTA friends in Sweden from the previous NOTA and for the youngsters who did not manage to participate in NOTA. Lighter, more casual events at three club stations for the youngsters to get active with the exciting DYM-Signal during three entire weekends (fri-sun). 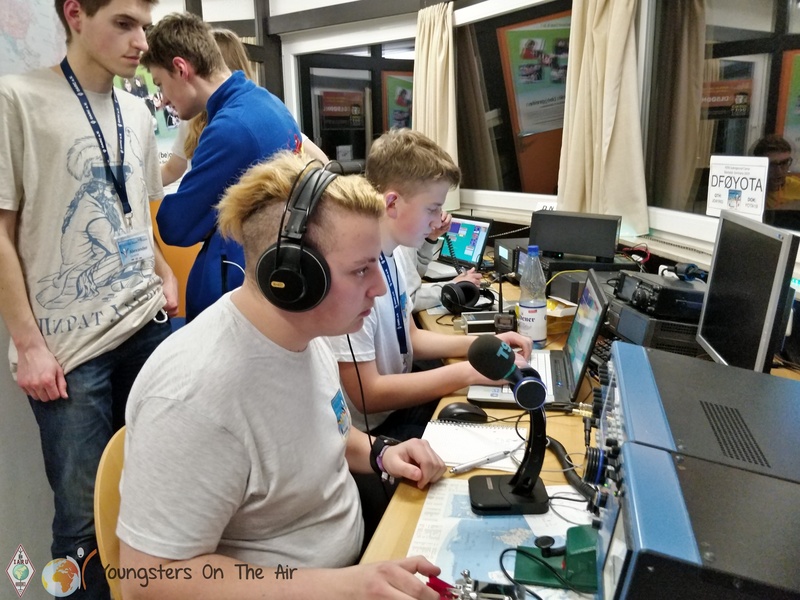 When a youngster who has never before heard of amateur radio asks you what it is, how do you explain it in a few short sentences? Ham radio is a way to talk with basically anyone anywhere, you only need a radio and an antenna and you are off! And yes, of course there’s internet and mobile phones that makes it possible to talk to anyone in a very simple way, but that is not the point for us. We can compare it with sailing as an example, even though you can take the ferry to Islands such as Gotland, people still sail. 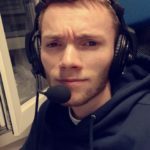 Radio is a hobby just like sailing which gives you more control over what you are doing while you can continue to learn even more about it. Ham exams took place in February. Four students of our course gain courage and managed their Novice class. Another three members of OM3KFF upgraded themselves to Extra class. 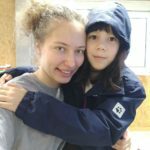 Now, we will have more time for practice and also we are going to start Morse code lessons. 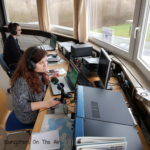 We also use contests for training of beginners, mainly SSB and RTTY. We did part time easy operation in CQWW SSB, Mexico RTTY, CQ WPX RTTY. CQ 160m SSB, ARRL SSB and CQ WPX SSB are following soon. 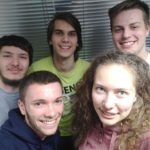 I gathered participants for summer YOTA camp in Bulgaria who replied public call. After discussion with youngsters and their parents, we agreed a new team leader (Bety OM1DP). …how do you explain it in a few short sentences? During the winter we have some interesting contests in OK. So we were sure to take part in them. First was 2m Christmas contest where OL18YOTA made huge success by taking 4th place in Adult Multi category, Martina will tell you more. 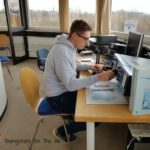 In February there is 2m/70cm QRP contest. Honza has really adventurous story from this contest. So keep reading. 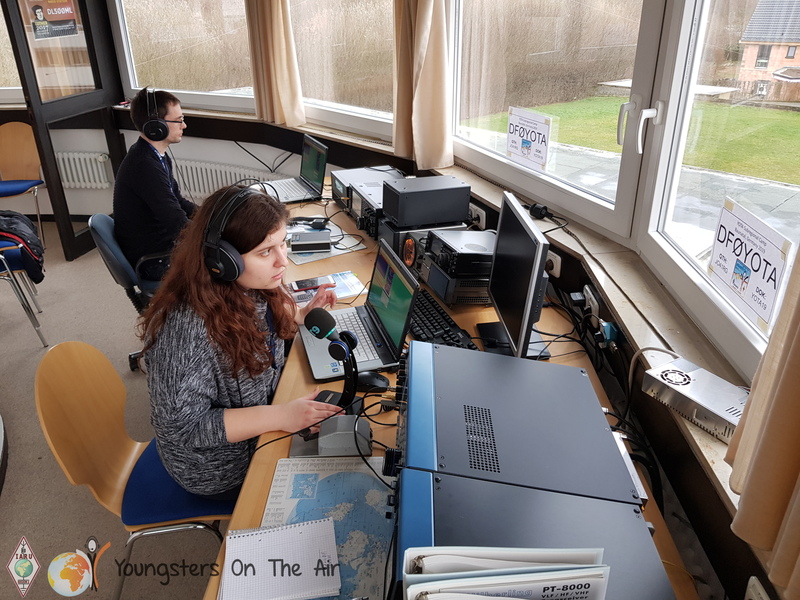 Under a callsign OL18YOTA we took a part in the Christmas contest. Contest was on 26th December, in two parts from 08.00 – 11.00 and 12.00 – 15.00 UTC. With the ICOM IC-7600, TR 144 H, PA-800W and 2 x 10 el. Yagi antenna we did 204 QSOs. Best DX was DL1KFS with 838 km. 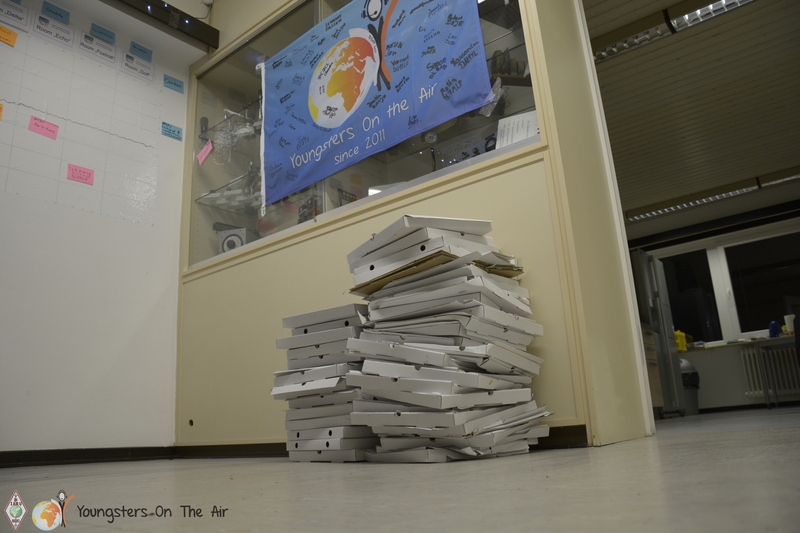 This number of QSOs brought us the 4th place in the Multi category 144MHz. 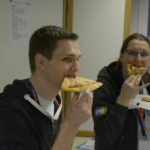 For some of us it was the first time in Christmas contest and also the first longer contest. 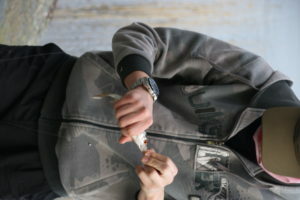 One of the best opportunities for real men is the annual Winter QRP contest held every year on 1st Sunday of February. 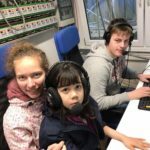 The contest starts at 9:00 UTC and consists of two separate two-hours periods – first on 70 cm and second on 2 m bands. Only 10 W power output is permitted, so the best way how to win the first place (awarded by the little „snowman“ statuette) is participation from the highest hill you can find in your neighborhood. But imagine, that it’s winter time and in Czech republic there is normally about approximately two meters of snow cover in the mountains! 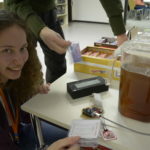 „Sometimes in December I made a choice to take part in the Winter QRP contest on VHF/UHF. And because I have never participated this competition before, I didn’t realise that portable operation in winter from mountains is not so easy as I imagined. So I decided to visit the highest hill nearby – Velka Destna (asl 1115 m). 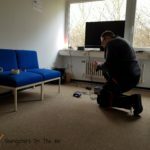 I persuaded also my friend Martin (he is not a ham) to come with me, because I needed someone to help me with all the necessary equipment – FT-817, batteries, 6 el and 10 el yagis, tent, shovel, and so on. Our little expedition started at 7 am when we packed the car and in 40 minutes we reached the parking place in 900 m asl, 3,5 km far from the top of the hill. First three kilometers were quite easy. The „road“ went through the forest, so the 80 km/h wind (which we expected according to the weather forecast) was not a problem so far. But the last 200 meters to the top were a real hell – every second step we falled down into the snow cover so deeply, that it was very physically difficult to stand up again, especially with heavy backpacks. Aprx. 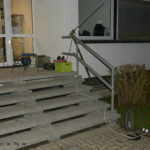 30 minutes before contest we started to build the tent and both antennas. 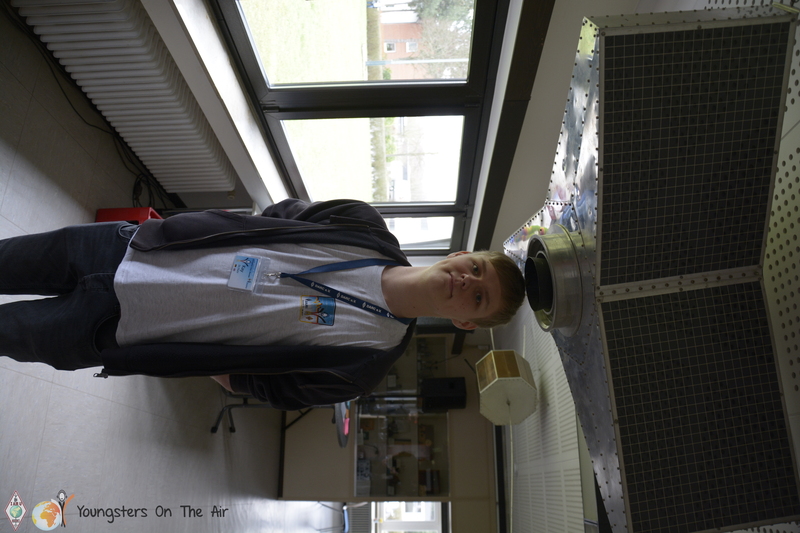 In the strong freezing wind it was not so easy and we finally started our CQ´s almost 40 minutes after the beginning of the contest! 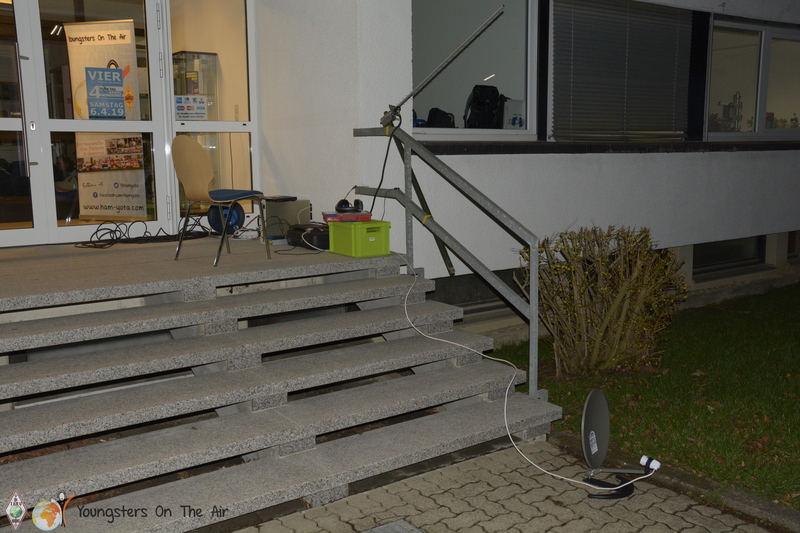 Because of bad propagation, short antennas, terrible FT-817 (it is really not a TRX for a real contesting HI), icing and of course because of the lack experiences with this contest (it was our first participation) we reached only 24 QSO´s on 70 cm and 52 QSO´s on 2 m. So the result was a far far away from our expectations (we wanted to manage 40 QSO on 70 cm and minimally 65 QSO on 2 m). Nevertheless the most important thing than number of QSO´s is the excellent feeling that we managed this hard challenge and even when the nature is against you, you can deal with that and you overcome yourself. Looking forward the W QRP 2020!